Had a decent week this week! Got one book I am dying to read so super happy about that! I also got some posters from Kimberly Derting. They were pictures of The Pledge and Dead Silence book covers! They are pretty cool, I just need a room of my own for my books to put them in! So that was my haul, 1 book so not bad, in the coming weeks I know I will be buying more as more is released, so these calm weeks are good! Can't wait to read this one too, Jessica! I love Maria Snyder! :) Enjoy! 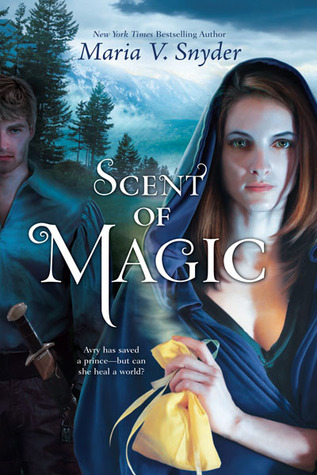 I can't wait to read Scent of Magic! Thanks for stopping by my blog! I see we received the same book this week! Will be interested in seeing your thoughts on the book! Thanks for letting me know about Scent of Magic. I just added it to my review stack. I love Maria V. Snyder. Thanks, also, for visiting my blogs. Happy reading! Thanks for stopping by my STS! This one looks good, I'll have to check it out. Enjoy! I have this on my radar and so hope you enjoy it! That looks like it'll be good!! I really love the cover of this one, Happy reading! I want to read something by Snyder! I really like this cover. This cover is so pretty. Thanks for visiting me yesterday. I AM SOOOOO JEALOUS OF YOU RIGHT NOW!!! I loved the first book in this series and I can't wait to get my hands on this one! Can't wait for your review! Hope you enjoy it and congrats on the posters! 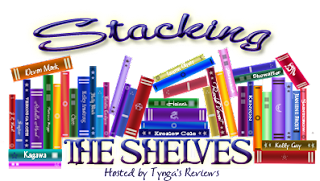 :D Thanks for stopping by My StS post! I like the cover of your book. It looks like an interesting read. Hope you enjoy it! I love it when you get a book that you are dying to read. I hope it lives up to your expectations.